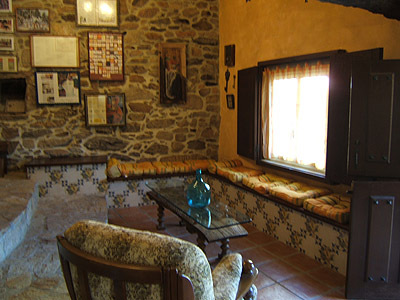 Casa A Bodeguilla is an old stone house located in a beautiful small town or hamlet, at 15 min. 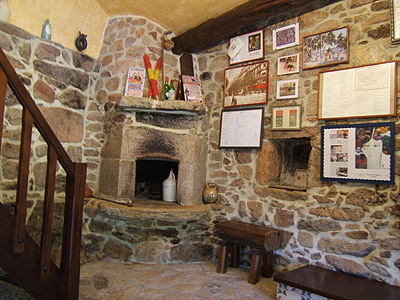 from Santiago, in a rural area surrounded by green fields and mountains. It is close to Bertamirans ( 5 min. drive) where you have all the services (shops, markets, farmacy, bars, restaurants, etc.) and close to the coast, beaches and the old city of Noia (about 30 Km). 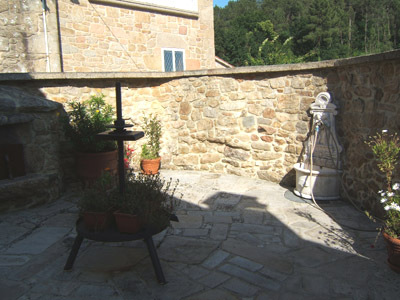 Outside there is an enclosed patio for private use. 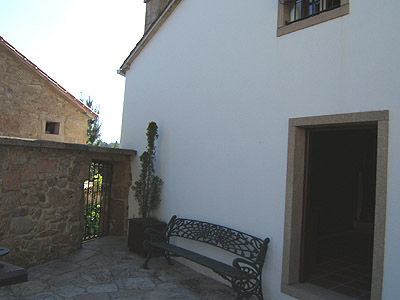 The main building has upstairs 1 double bedroom en-suite with views, a sofa and a bathroom. 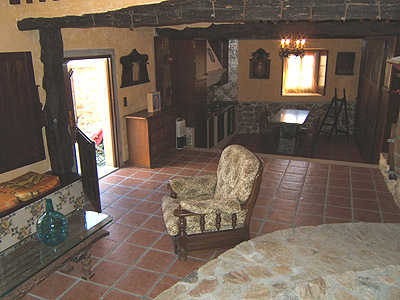 In the ground floor there is an equipped kitchen, a dinning area and a living room. 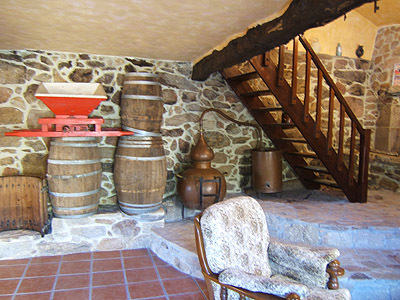 All the house has been restored keeping the old style, and even decorated to remind the original use as a wine cellar. 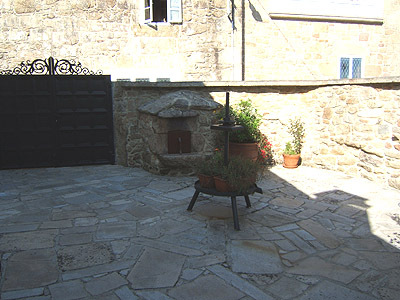 Other side of patio with entrance gate. 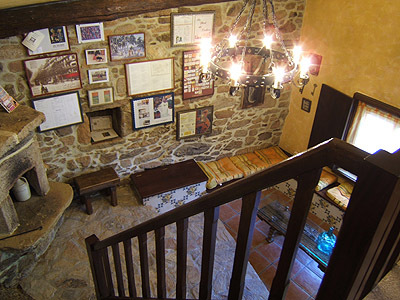 Prices are per week in euros for up to 2 people. Christmas & Easter week are charged at mid term rates.